The Flag Heritage Foundation and the Military History Museum in Vienna, Austria are pleased to announce that the donation by the Foundation to the Museum of an original Austrian cavalry standard 1769 patterned from the time of Maria Theresa (1740-1780) has been completed successfully. The Flag Heritage Foundation, founded in 1971 and now located in Danvers, Massachusetts, USA, is a non-profit organization dedicated to flags and flag study. Its main purpose is to preserve flags and flag-related objects, to collect, organize and disseminate information about flags and related symbols, to promote public knowledge about the history of flags, and to cooperate with individuals and institutions sharing these interests. The Flag Heritage Foundation is a constituent member of FIAV, the International Association of Vexillological Associations. Further information can be found on the Foundation’s website www.flagheritagefoundation.org. The Military History Museum (Heeresgeschichtlichen Museums) in Vienna belongs to the Ministry of Defense. It is one of the most important military history museums in the world, situated right in the center of the Arsenal. The Museum was built from 1850 to 1856 and was thus the city’s first museum. In five major sections the museum shows the history of the Habsburg Empire from the end of the 16th century until 1918 and Austria’s fate after the dissolution of the monarchy up to the year 1945. The museum contains one of the largest flag and standard collections world-wide. The Museum’s website is found at http://www.hgm.or.at. 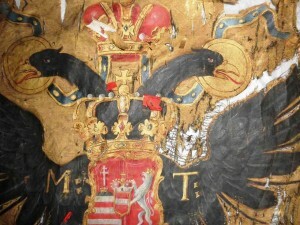 The Foundation acquired the Austrian cavalry standard in 1988, when Wanamaker’s Department Store in Philadelphia liquidated its important display collection. Its value, based on an earlier appraisal, is about $8.000 (€6.200). 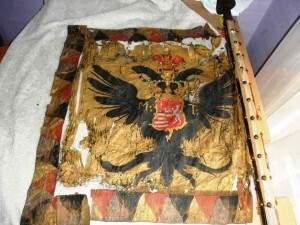 In 2012 the Foundation’s Board of Trustees voted to repatriate the flag to Austria and donate it to the Military History Museum in Vienna. Both institutions are pleased to have been able to cooperate in bringing a piece of Austria’s cultural and military heritage home to a place where it can be properly conserved, studied and enjoyed by people from all over the world. 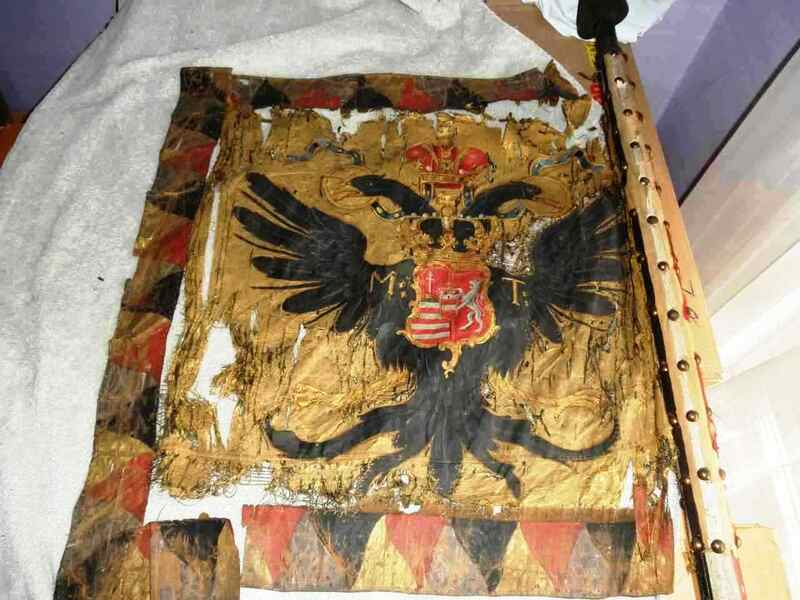 The Museum intends to use advanced modern conservation methods to restore the standard which has been damaged over the centuries, and hopes to be able to put it on permanent display after the completion of this project.